By patricia, April 9, 2018 at 1:01 pm . It is no longer clear how the axiom “money is power” still holds—if it ever did—in an era of cryptocurrencies, local currencies, free trade zones as financial instruments, “cheap nature” and resource extraction, offshore tax havens, and their leaks in things like the paradise papers. The terms “making” and “money” both mutate with their globally distributed technological, financial and legal frameworks now independent of national regulations. Common to and between all these mutations, a new relationship to the physicality of money appears: what is the matter and materiality of money? What is the current physicality of value? Currency and matter both resonate with multiple significations today, and invoke the need to examine the “making of money” from multiple disciplinary perspectives. This symposium brings together a range of voices contributing to possible answers for these questions, from fields including Philosophy, Art, Architecture, Computer Science, Community Activism and more. Participants will variously examine different forms of money—objects, life and spaces—for their physicalities, or matters. 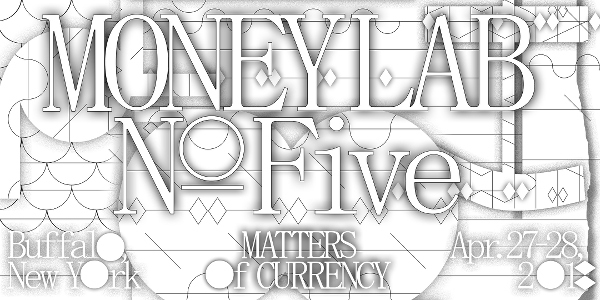 Through workshops, talks and panel discussions, “Matters of Currency” will shed new light on money- power relations as mirrored in changing relations to technological and material transformations in the world today. Caroline Woolard – artist and organizer who works collaboratively and collectively as a founding member of Trade School, OurGoods, and BFAMFAPhD. Leigh Claire La Berge – professes at the intersection of arts, literature, visual culture and political economy. She is an Assistant Professor in the Department of English at BMCC CUNY. Fran Illich and Gabriela Ceja – artists and founders of the digital material sunflower, alternative currency as well as coffee and film co-ops. Read a review on the Aridoamérica project here. Paul Kolling from Terra0 – blockchain developers for environmental management and tokenizing of natural resources. Caitlin Blanchfield – PhD in architectural history and comparative literature and society at Columbia University and a contributing editor to the Avery Review. Adrian Blackwell – artist, designer and urban theorist whose work focuses on the relation between physical space and political economic forces. He is co-editor of the journal Scapegoat: Architecture / Landscape / Political Economy. LittleSis (Public Accountability Initiative) – Based in Buffalo, creators of free database that power maps influential social networks. Chris Lee – Assistant Professor of Graphic Design, University at Buffalo, Research Fellow at Het Nieuwe Instituut (2017/2018), considers graphic design’s entanglements with power through the intersection of typography, money, and the document. Stephanie Rothenberg – Associate Professor of Art, University at Buffalo, Artist and researcher investigating the intersections between socio-economic systems, technology and non-human ecologies. Jordan Geiger, Chris Lee and Stephanie Rothenberg of the University at Buffalo Humanities Institute’s Research Workshop “Making Money: Critical Research into Cultures of Exchange.” A project of the Technē Institute for Art and Emerging Technologies in conjunction with the Institute of Network Cultures at the Hogeschool van Amsterdam.